From architecture and landscaping awards to tourism accolades and presidential visits, Biltmore is routinely recognized as a top tourist destination. Biltmore Gardens has earned the Certificate of Excellence from TripAdvisor by travelers who chose Biltmore Gardens as one of their favorites. In 2015, Biltmore won the ‘Award of Garden Excellence’ by the World Federation of Rose Societies. One of only 62 rose gardens in the world to have earned this award! The Rose Garden has been in continuous cultivation since 1895. It features roses grown at the end of the 19th Century as well as modern roses and an international trial grounds. There are 120 cultivars and 1800 plants. Biltmore's Historic Gardens received a Grand Award in the Park, Recreation Area or Playground category of the 2011 Professional Grounds Management Society Green Star Awards. The judges' decision was based on how well our Historic Gardens are maintained, interest and diversity in plant material, and staff attention to safety. 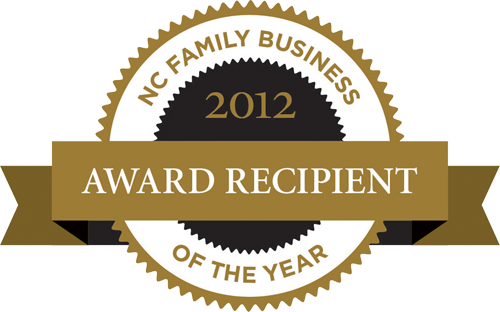 Biltmore was recently honored with the Triple Bottom Line Award from Sustainable North Carolina. This award is given to for-profit businesses that demonstrate the successful integration of all three aspects of sustainability – social, environmental, and economic. Current efforts related to our environmental focus include internal corporate environmental and social footprint analyses, and employee green teams appointed to drive sustainability initiatives. Other nominees included companies well known for their environmental efforts, such as Burt's Bees. Biltmore is one of America's favorite architectural wonders according to a public poll of the 150 best works of architecture conducted and released in February 2007 by Harris Interactive and the American Institute of Architects (AIA). Biltmore shares the accolade with the Empire State Building, the U.S. Capitol Building, and the White House. Biltmore tops a statewide poll for North Carolina's Favorite Architecture. The 2007 poll was conducted by The American Institute of Architects North Carolina. When Southern Living asked its readers for their favorite places in the South, memorable experiences at Biltmore's Gardens were top of mind. Biltmore received the 2006 Southern Living Readers' Choice Award for public gardens. Asheville has been recognized as one of the top 12 travel destinations in the world. That's according to Frommer's – one of the country's top travel publications. Asheville shares the spotlight with Zurich, Switzerland; Virgin Gorda, British Virgin Islands; and Tokyo, Japan. "My husband and I visited Biltmore as a last-minute overnight getaway. While we just live over the mountain in Maryville, Tennessee, neither of us had ever been to the estate. I must tell you, we were completely in awe of the house, grounds, view, hospitality of the staff, and just the overall relaxed feeling that we experienced during our visit." "My wife and I and two of our friends from New Jersey visited the estate last November for the third time over a 10-year period of time. Each visit has been a little better than the one before. The hospitality we have received each time we have visited is superb, and we actually feel like a special guest at a private estate. You are to be commended on the restoration of a grand American icon, and the way it is presented to visitors is very special. We have had the opportunity to visit many grand estates or American Castles during our lifetimes and find Biltmore to be the most magnificent of them all." "The estate was amazing. What an experience! My husband has been a builder for more than 30 years, and he was speechless at the workmanship of the mansion. He could not get over the detail in the woodwork. Personally, I plan to make the five-hour trip more often! Thank you for making our weekend an unforgettable one!"